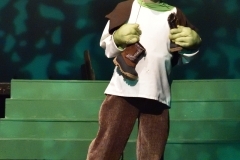 CenterStage in Lake Forest’s ambitious, colorful production of the mega-Broadway show Shrek the Musical was distinguished by wonderfully clever production numbers, beautiful singing, captivating performances, a hilariously able ensemble of highly experienced Lake County musical talent, and eye-popping, often lavish and colorful costumes. 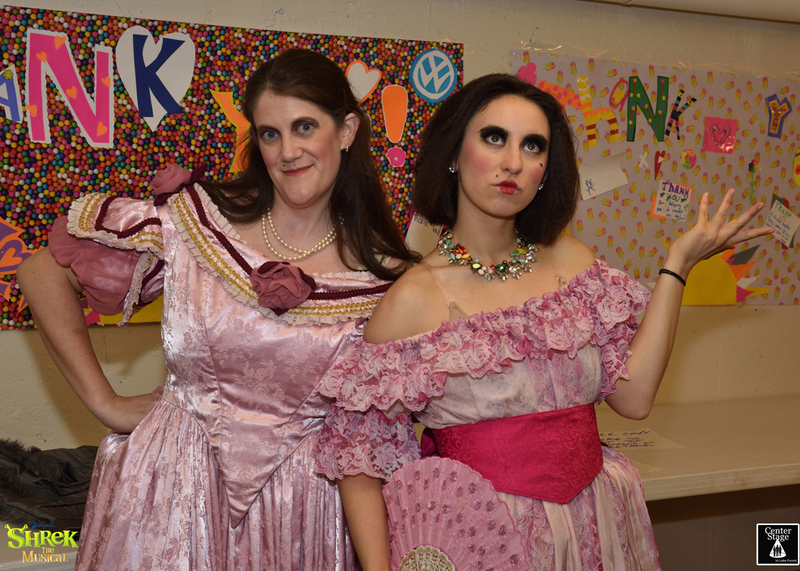 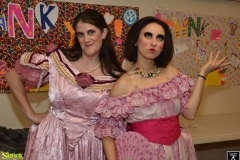 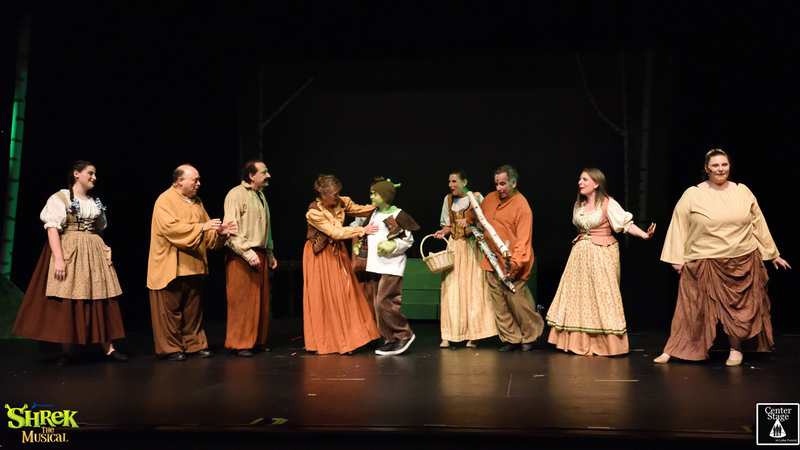 It was an unusual, even daring selection for CenterStage, which, apart from the wonderful production of Nunsense a decade ago, has tended to satisfy Lake Forest’s taste for more conservative Broadway fare. 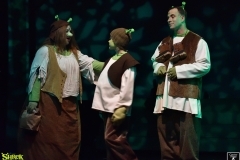 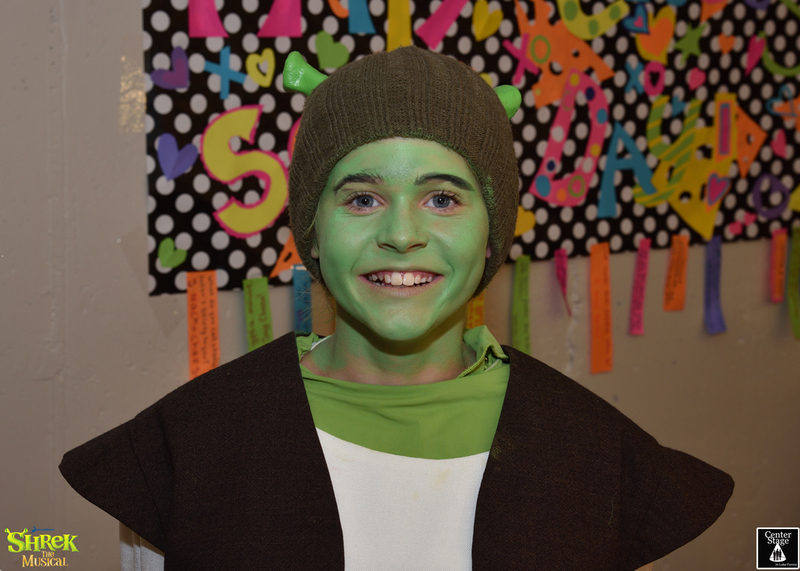 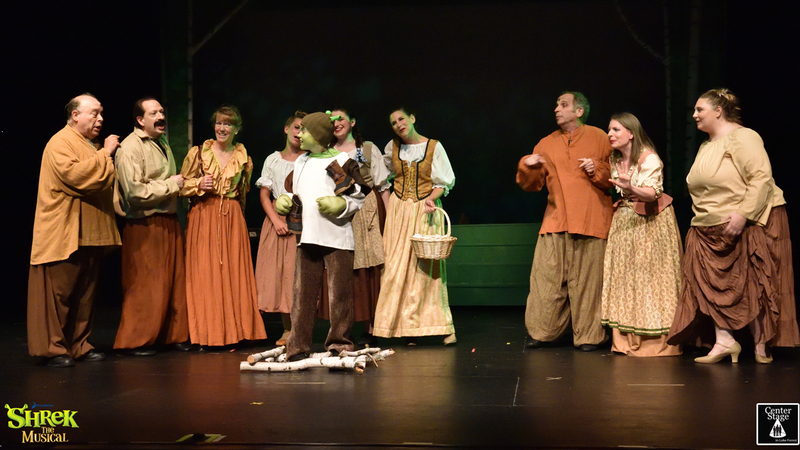 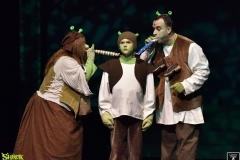 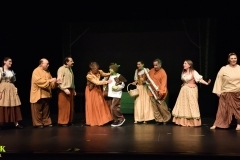 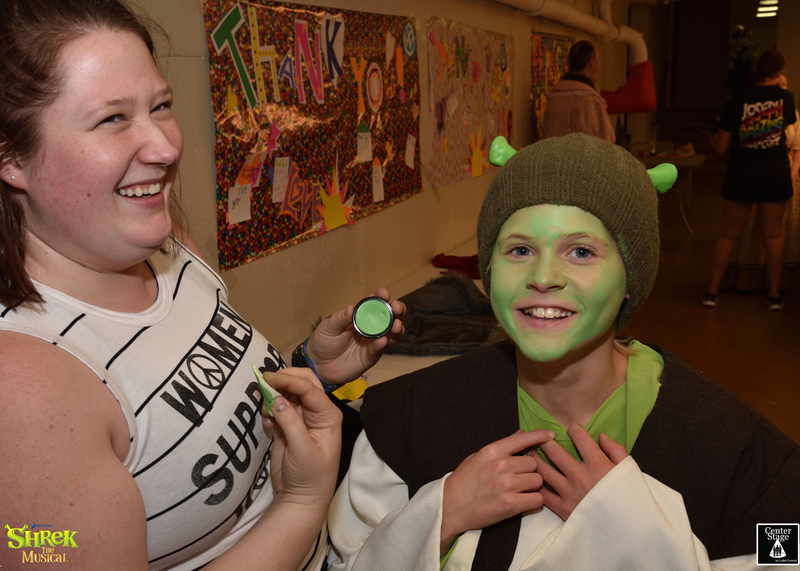 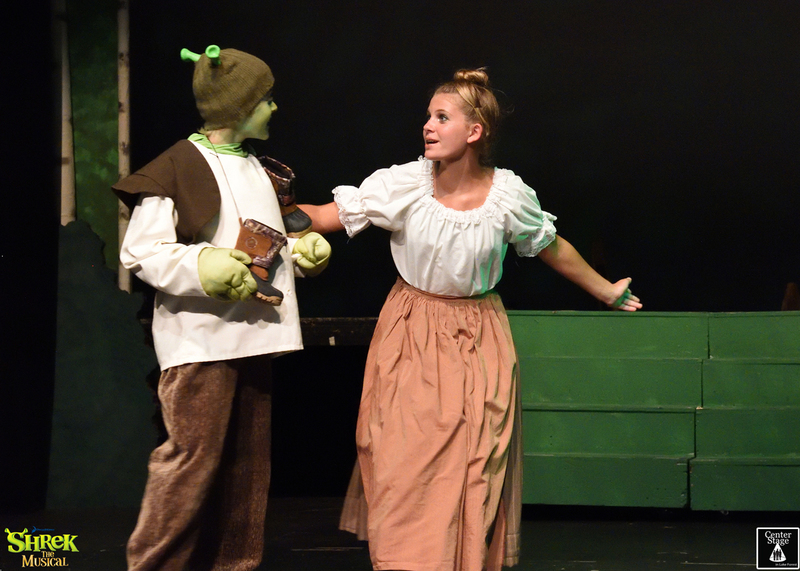 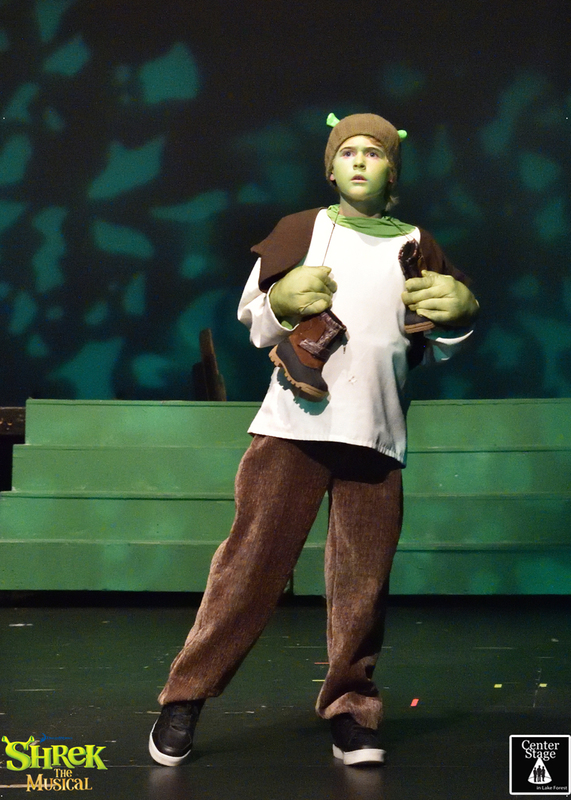 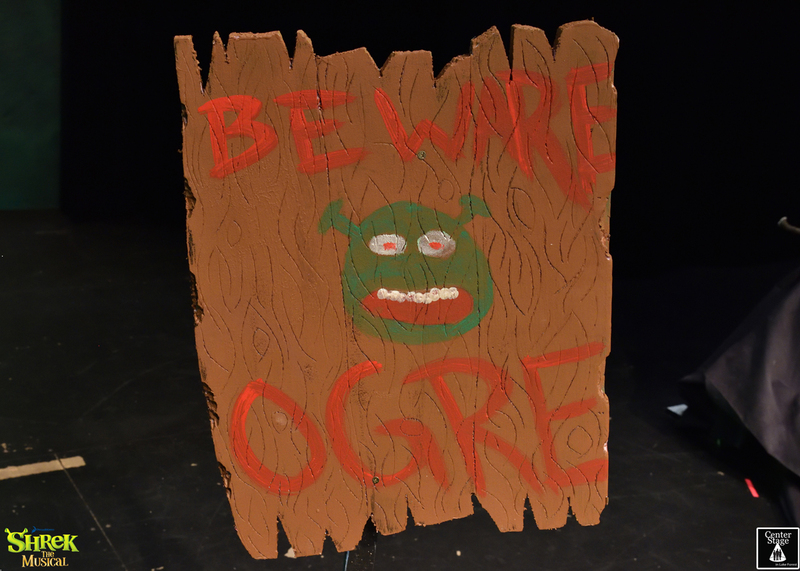 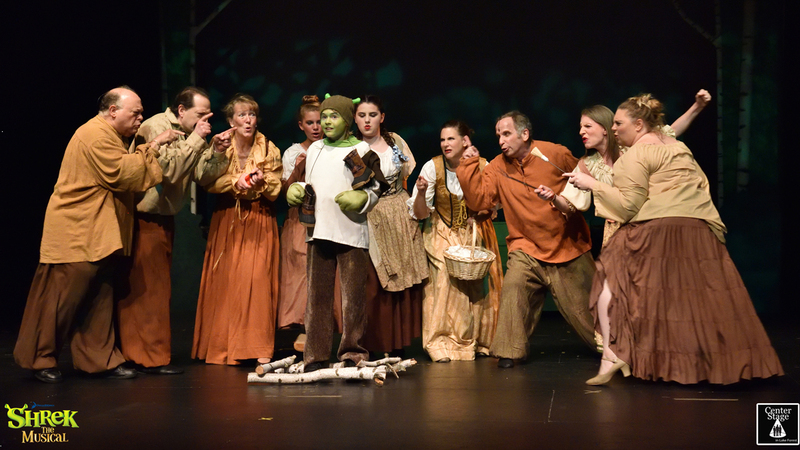 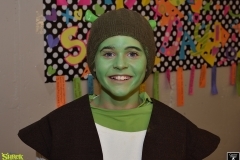 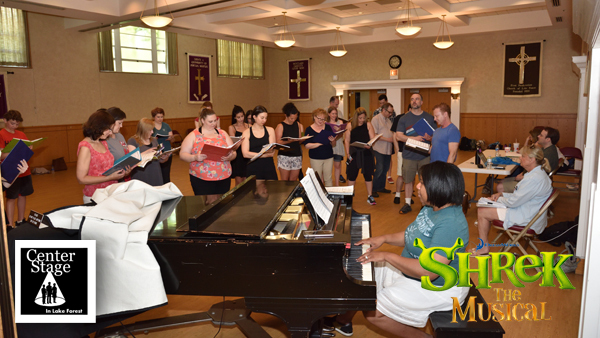 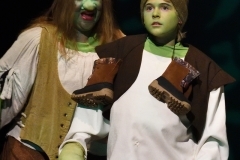 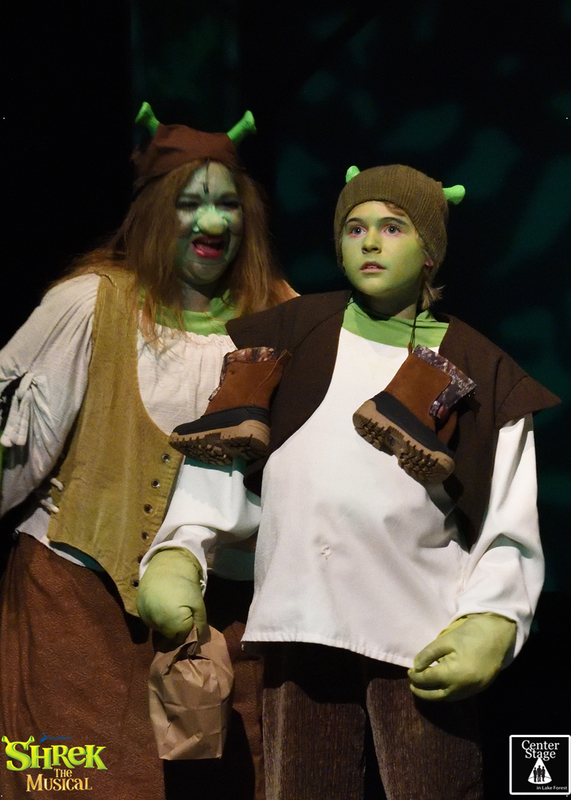 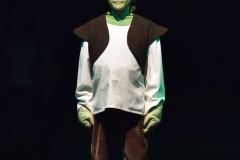 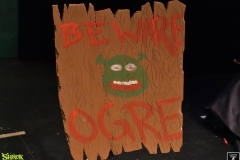 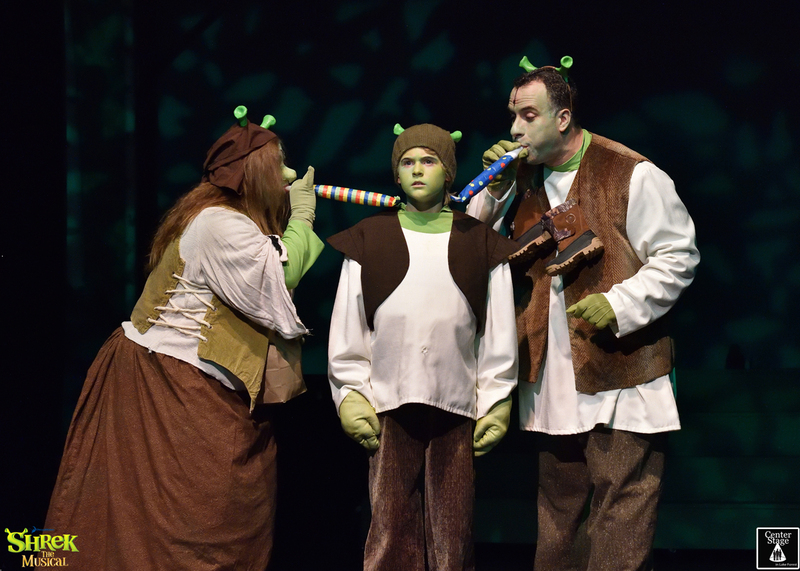 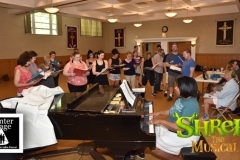 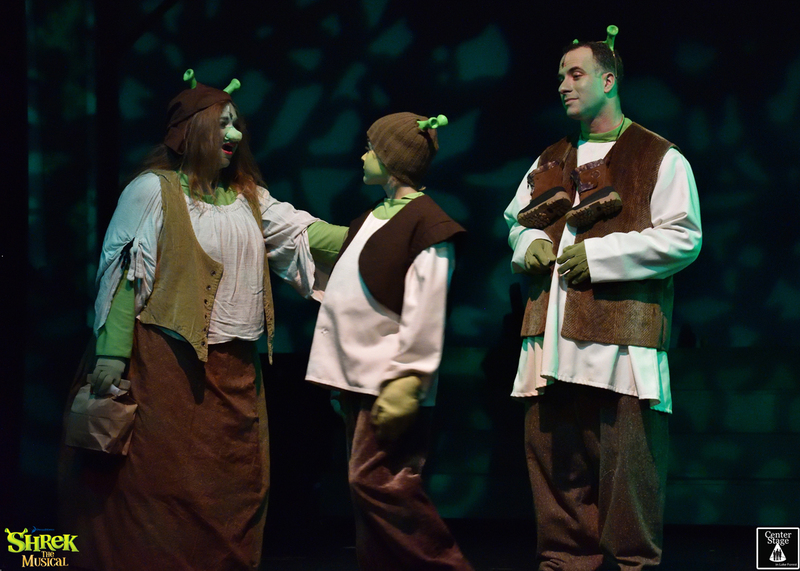 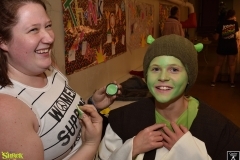 Shrek the Musical presented a more daring, contemporary, and hilariously scabrous tale to advance its tuneful (and, just like the 1990 DreamWorks classic upon which the show is based, more adult) story. 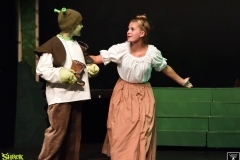 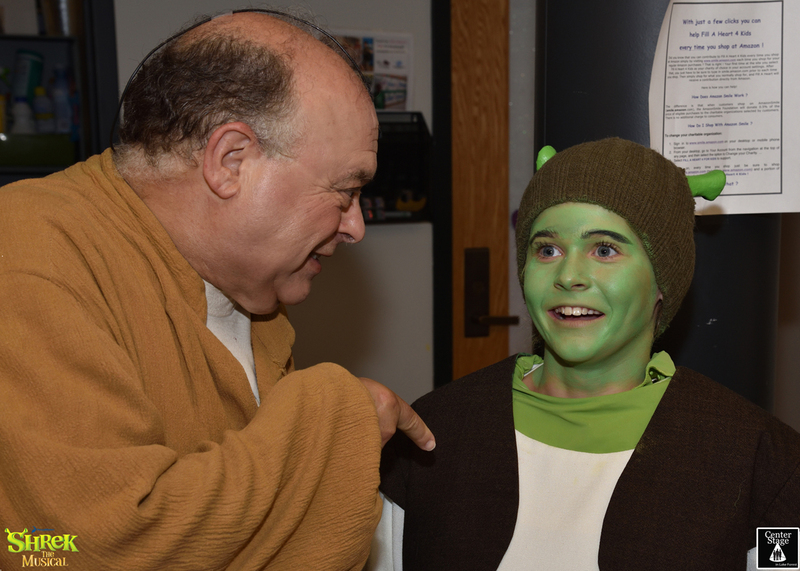 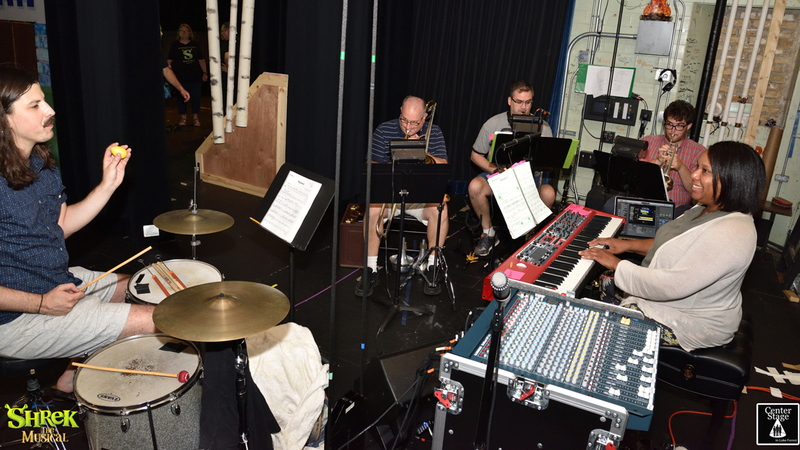 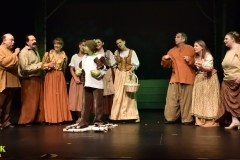 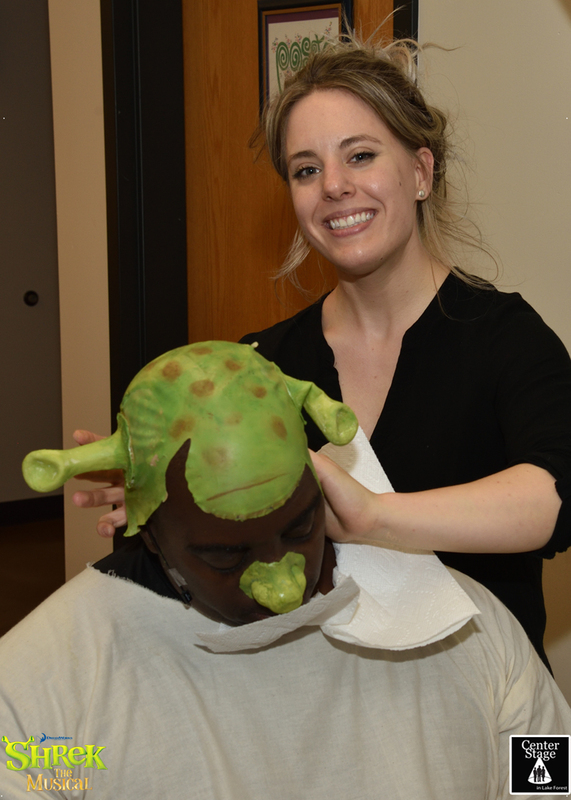 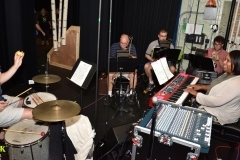 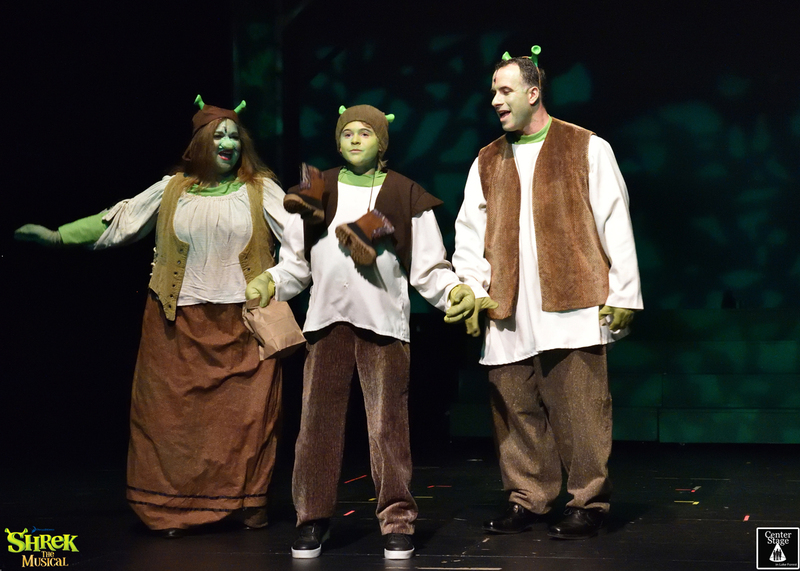 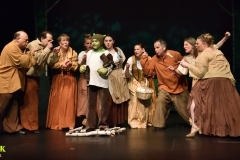 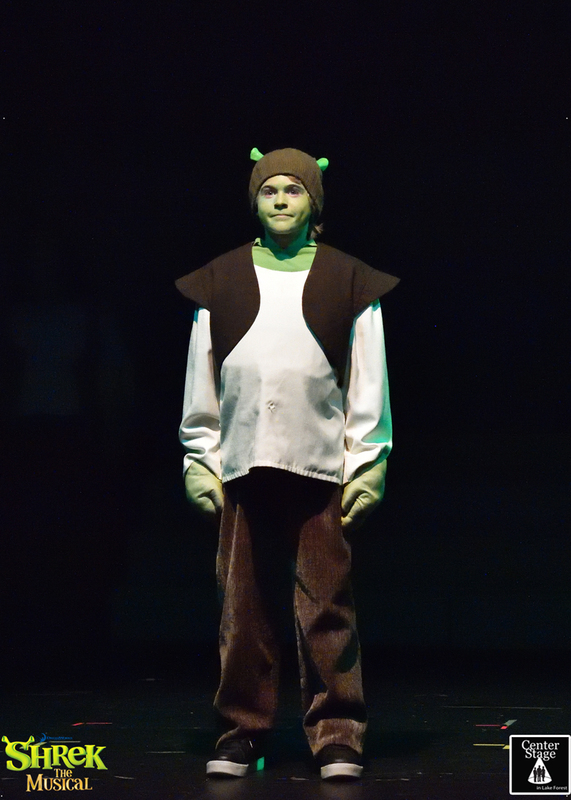 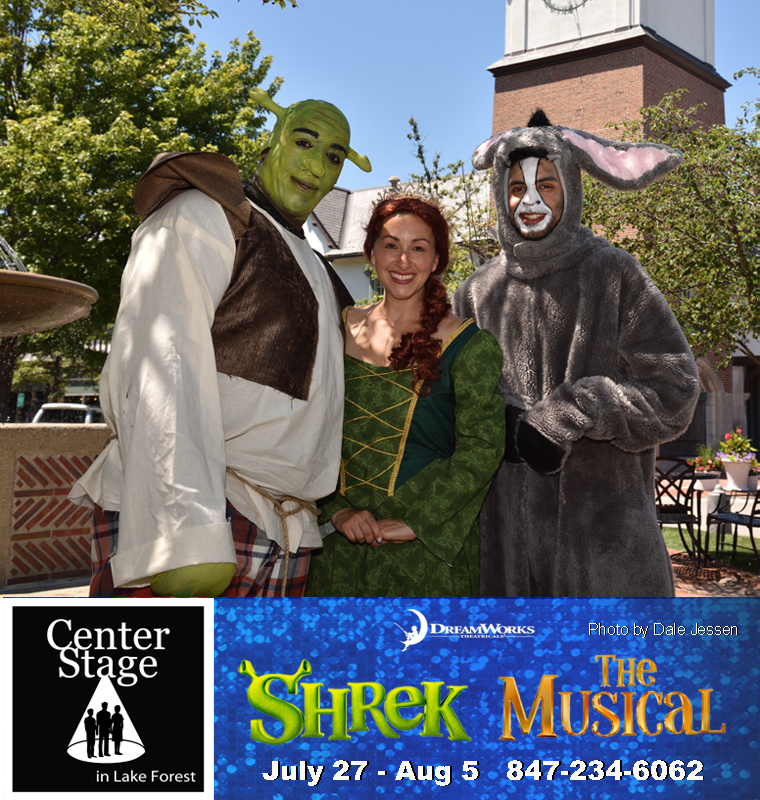 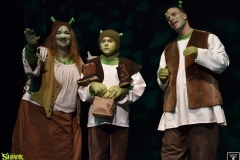 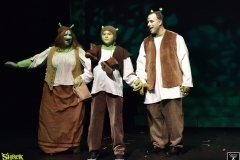 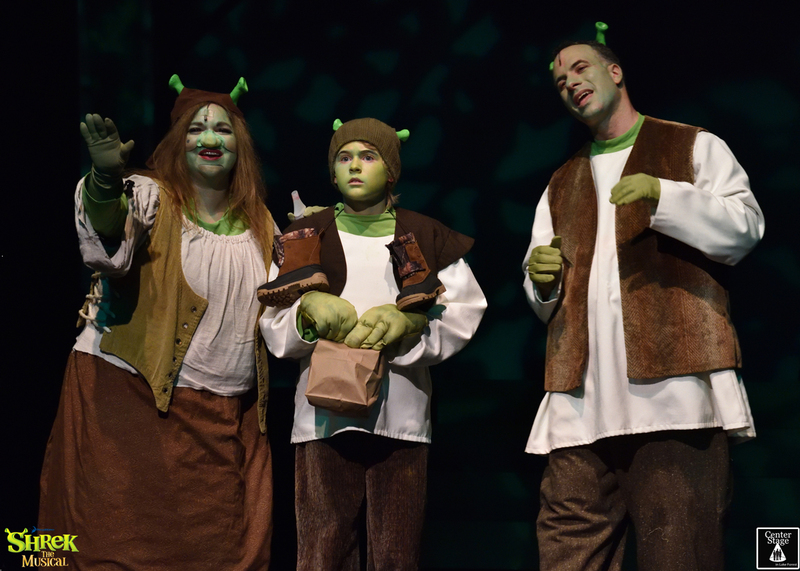 And, in so doing, Shrek the Musical found a new audience for CenterStage, becoming the 4th most widely attended production in CenterStage history, with almost 1600 patrons coming to the show. 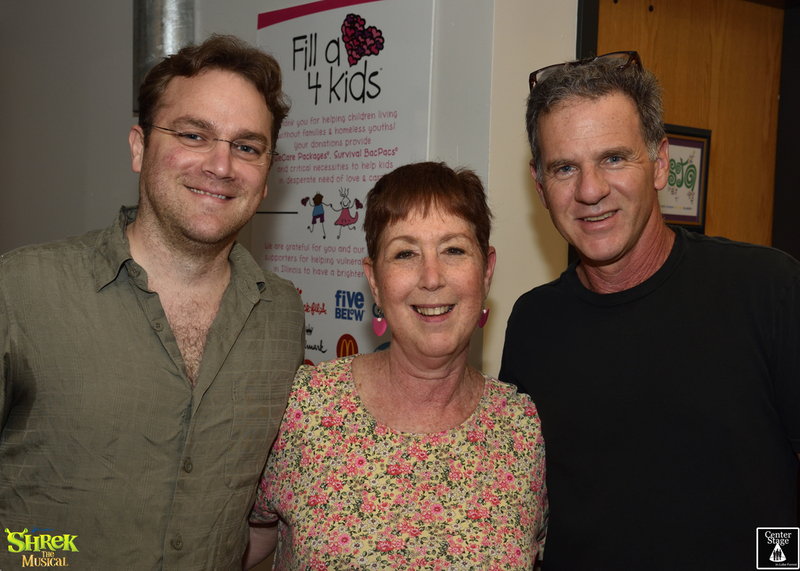 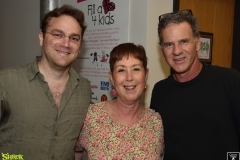 The production was directed by our good friend Deb Goldman. 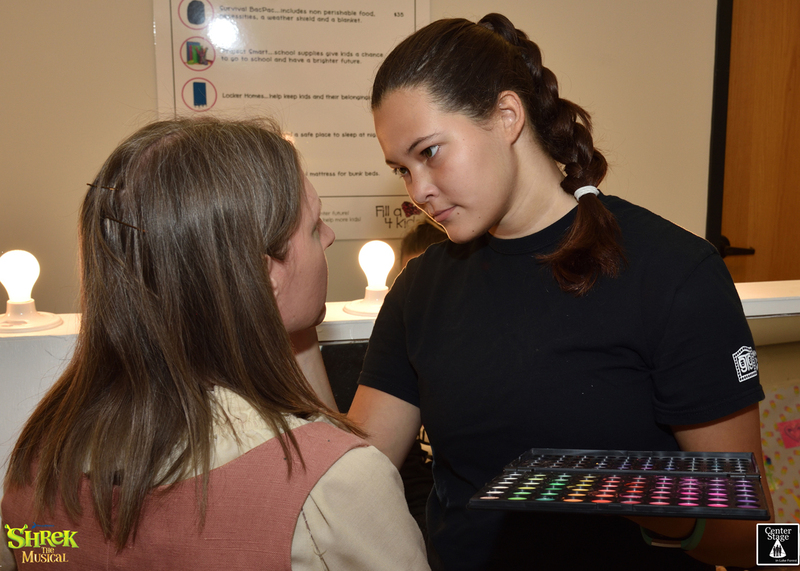 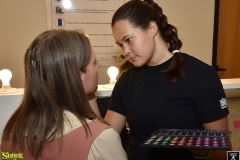 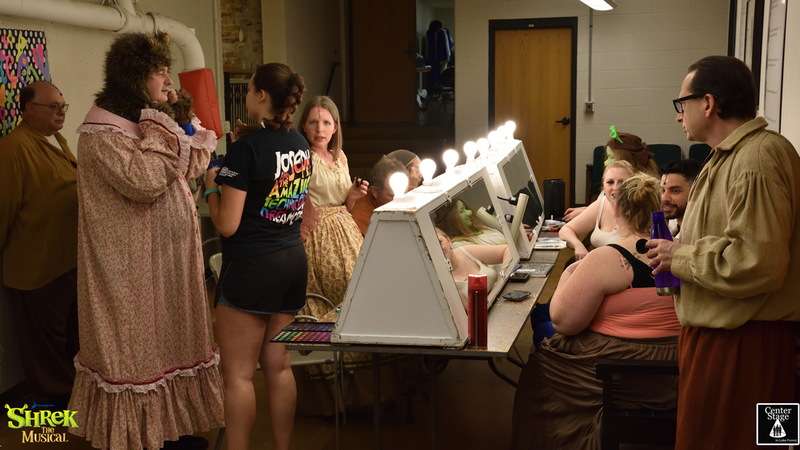 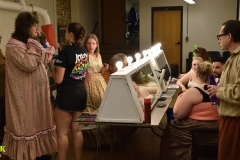 All production photos were taken by CenterStage’s longtime friend Dale Jessen. Thanks, Dale!